Ken and Bev Smith, in their role as Salvation Army officers/pastors, are committed to serving others and proclaiming the gospel of the Lord Jesus Christ through their lives and ministry. Ken is known for his skills as a musician and composer while Bev is a also a medical doctor. Their appointments have taken them from the rocky mountains of Alberta to the eastern shores of Newfoundland, as well as the remote island nation of New Zealand. 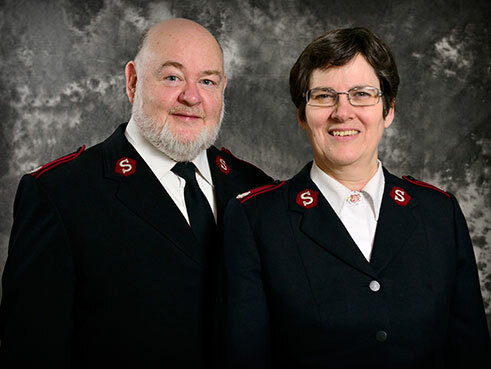 Most of their years of ministry have been in Ontario where they found themselves involved not only in corps but in administrative appointments at The Salvation Army’s Territorial Headquarters. Ken and Bev have two adult sons, one studying music in Minnesota, as well as a married daughter who is also a Salvation Army officer, currently serving with her husband at Georgetown Corps in Kentucky. Out of his glorious riches, may God strengthen you with power through his Spirit in your inner being, so that Christ may dwell in your hearts through faith.